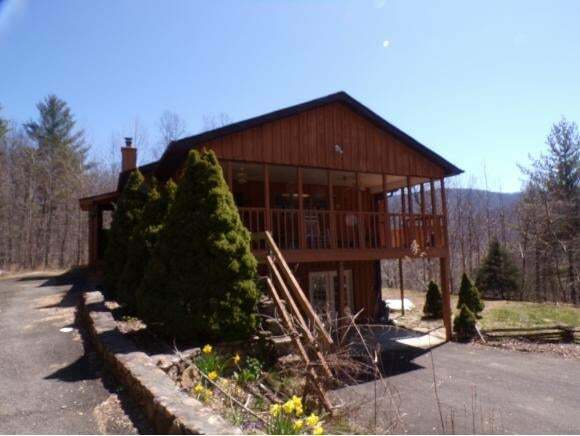 Privacy with mountain views, hiking trails,all just 2 miles from Watauga Lake. Charming contemporary with wood finish interior...3 bd, 2 ba, dining area, living room, downstairs den and home office. Wood flooring and ceramic upgrades. Multiple decks for outside entertaining. 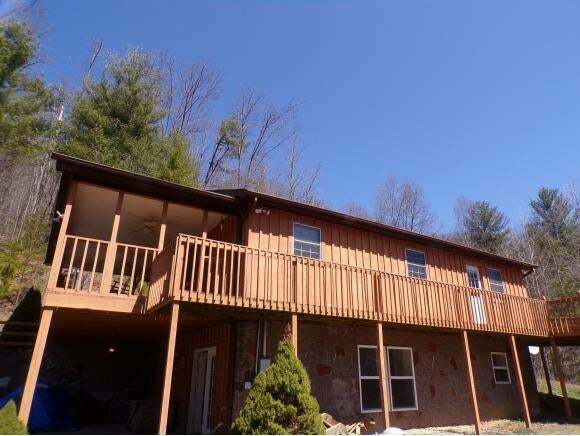 MB on main floor with long range mountain views and private deck access. Drive -ways up to the main and also to the lower level of home. Property offers interior and exterior easy access to lower level living area. Covered front porch area perfect for entertaining or enjoying all the wildlife going by. Wonderful outside spaces. Outbuilding and potting shed included. Property extends to top of the ridge. ATV trails possible on existing logging roads. 24.7 wooded acres. Seller is selling furnished so property is ready for your arrival. 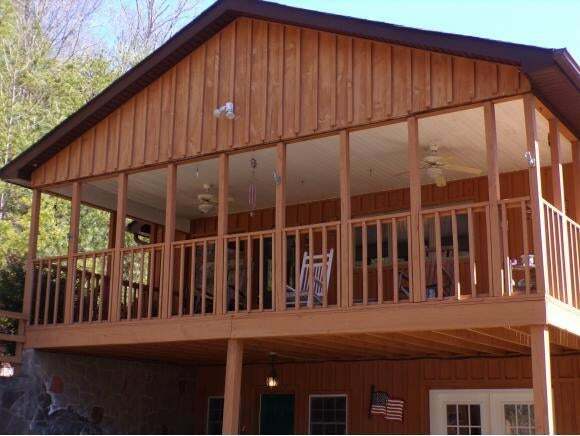 Stay vacationed with this wonderful property nestled in the mountains of Northeast Tennessee. Enjoy all four seasons!! Call today. Priced to sell! Buyer/buyer's agent to verify all information.